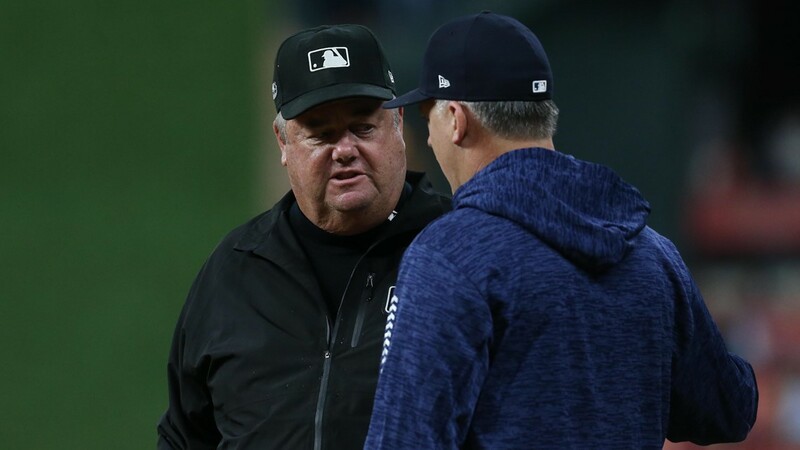 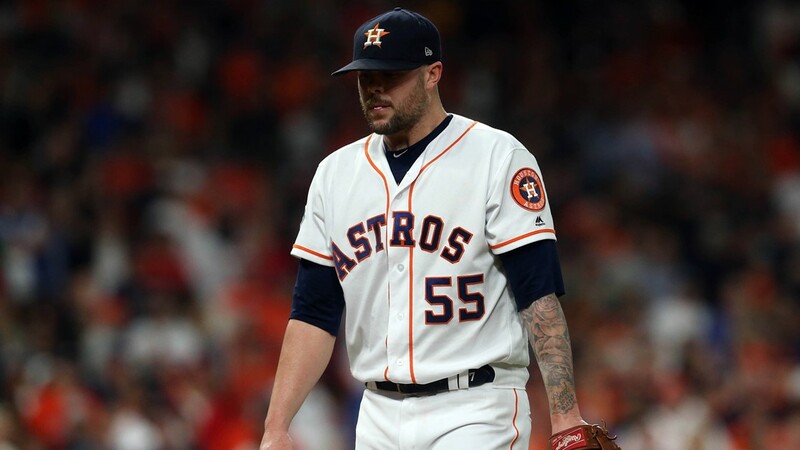 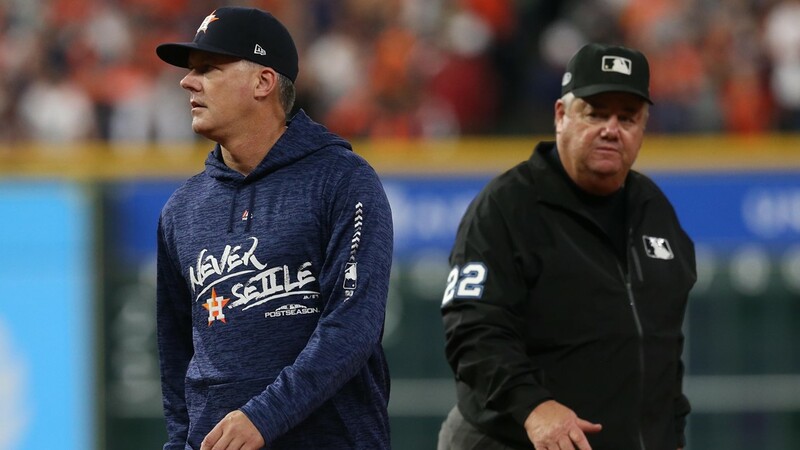 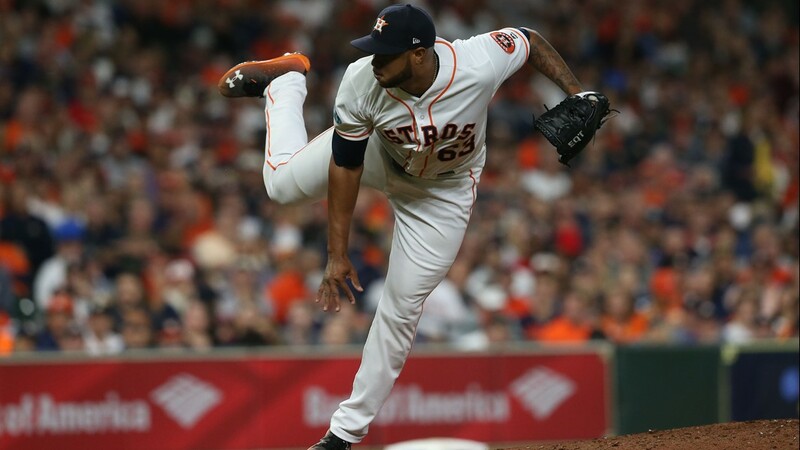 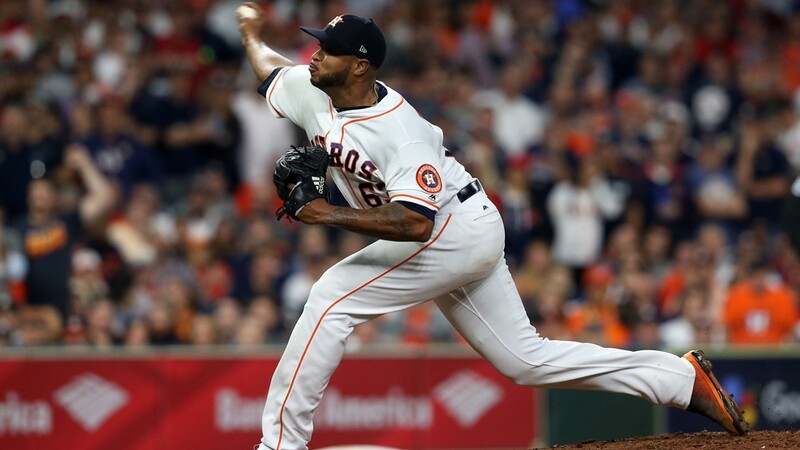 Crew chief Joe West, working the right-field line Wednesday night at Minute Maid Park, signaled fan interference after the Boston Red Sox outfielder was unable to make the grab and the ball ricocheted back onto the field. 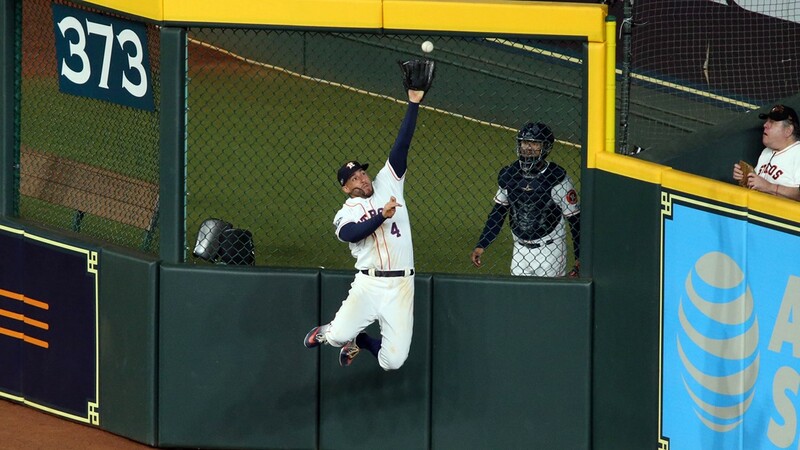 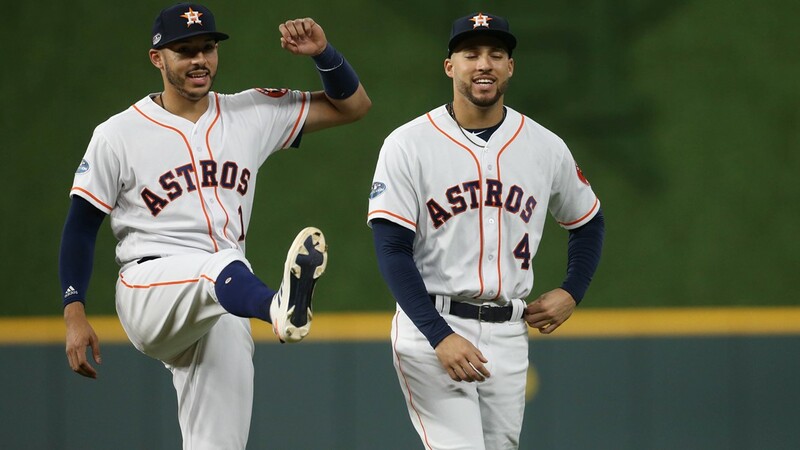 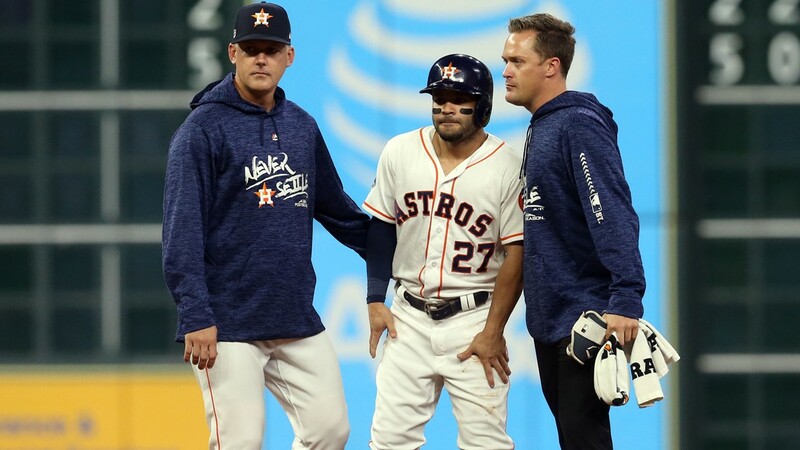 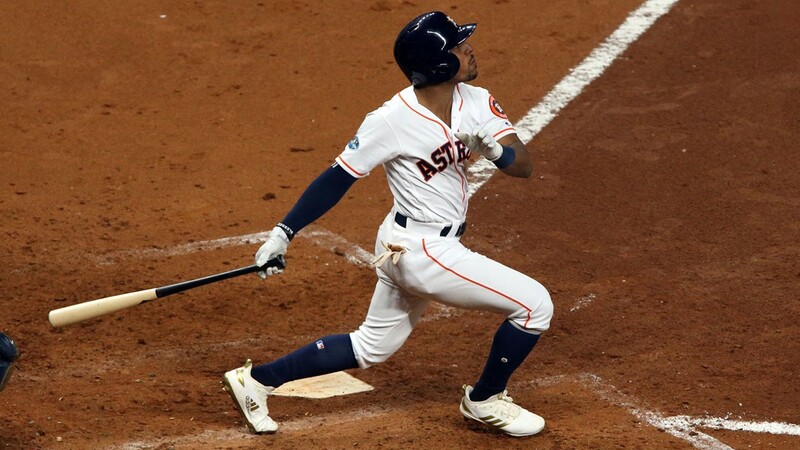 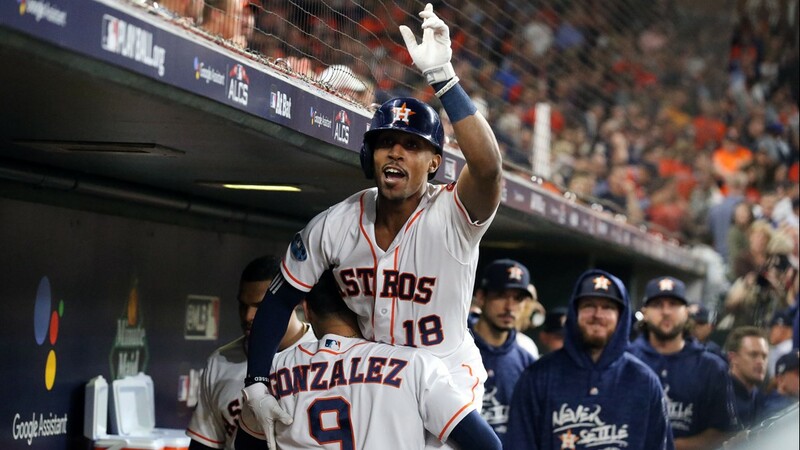 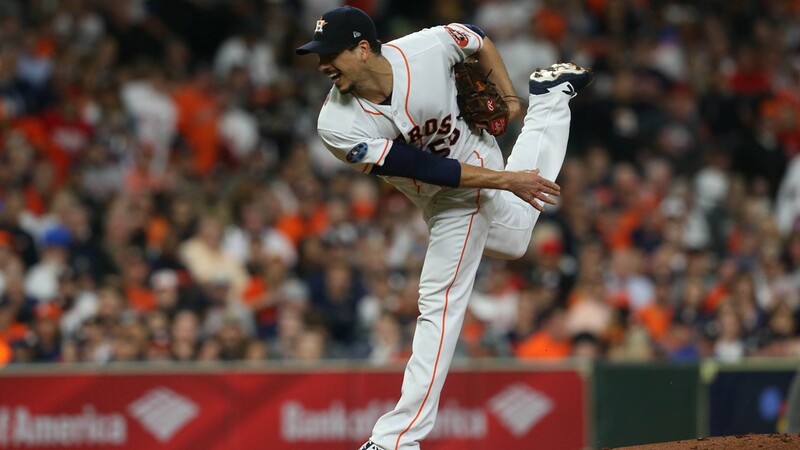 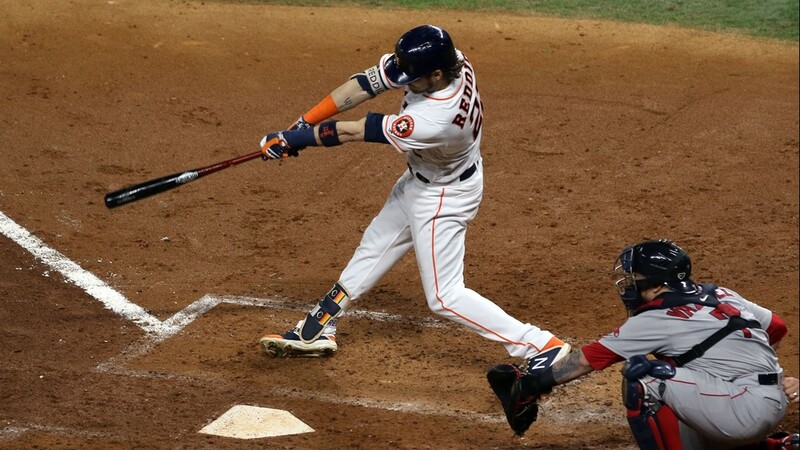 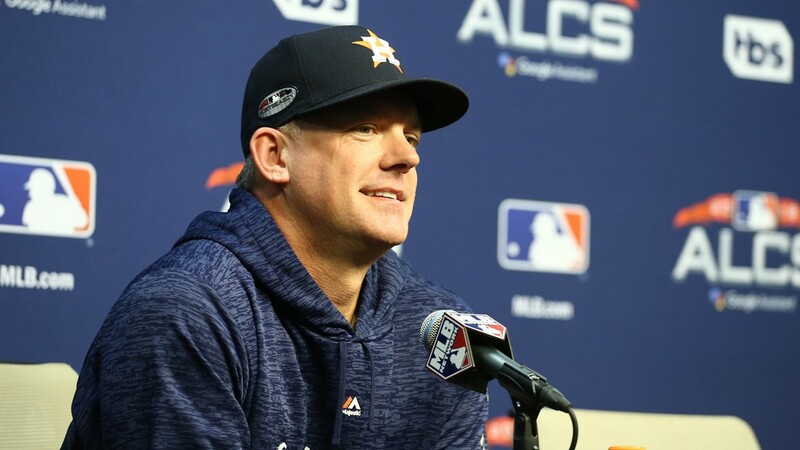 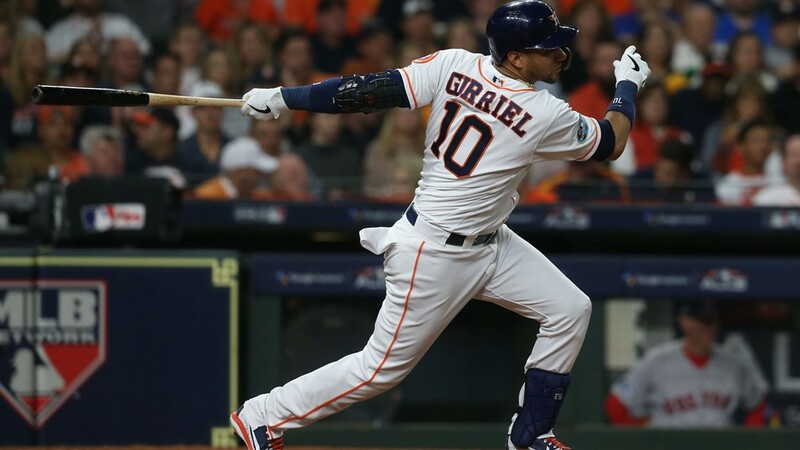 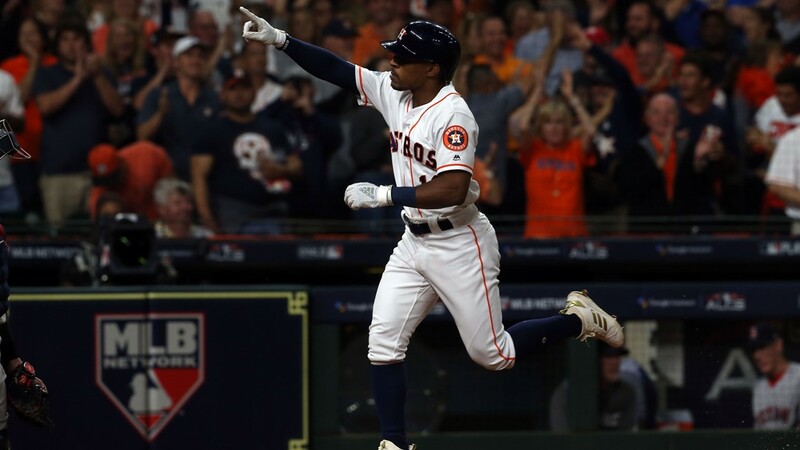 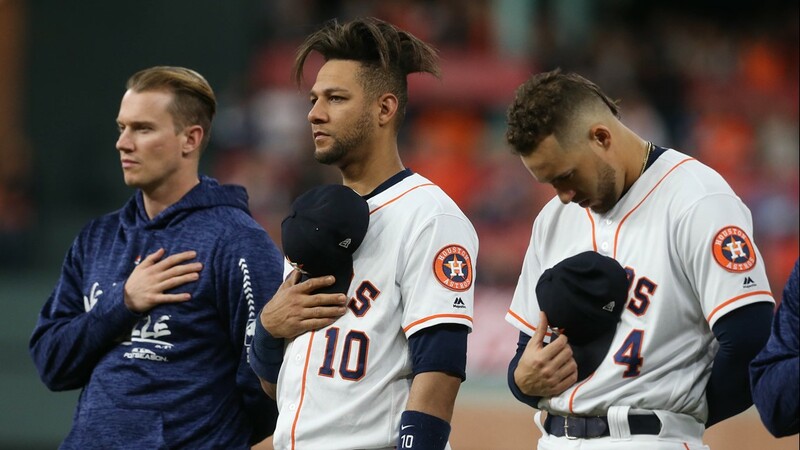 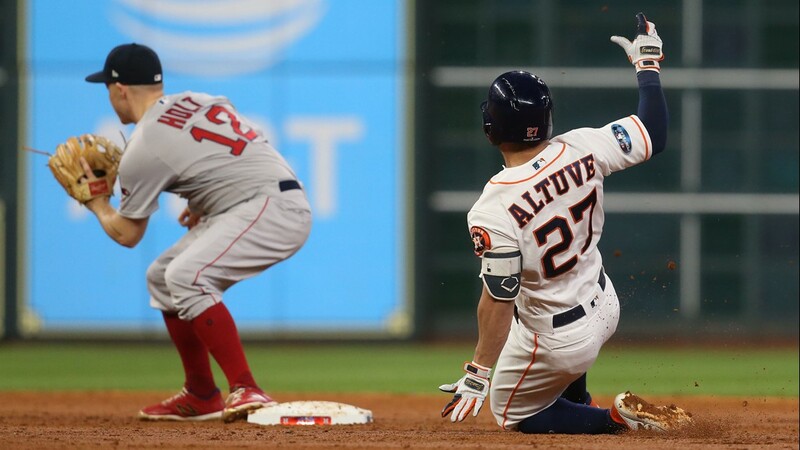 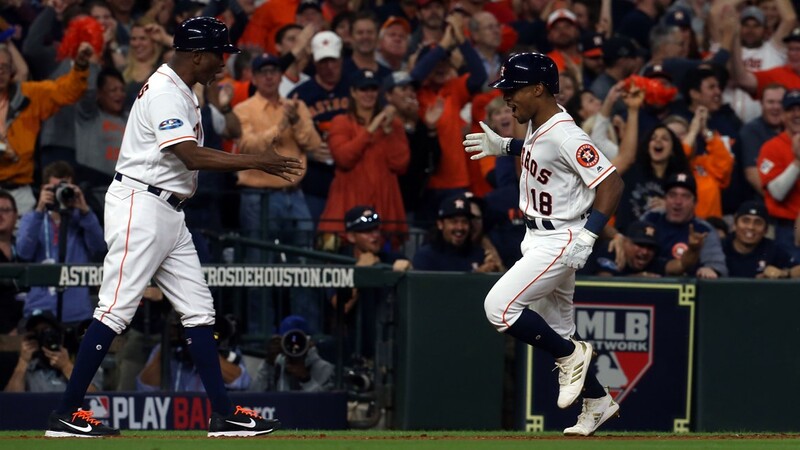 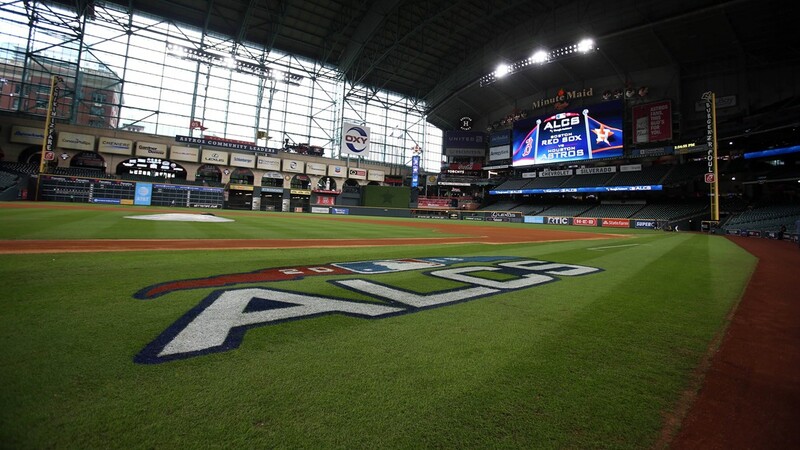 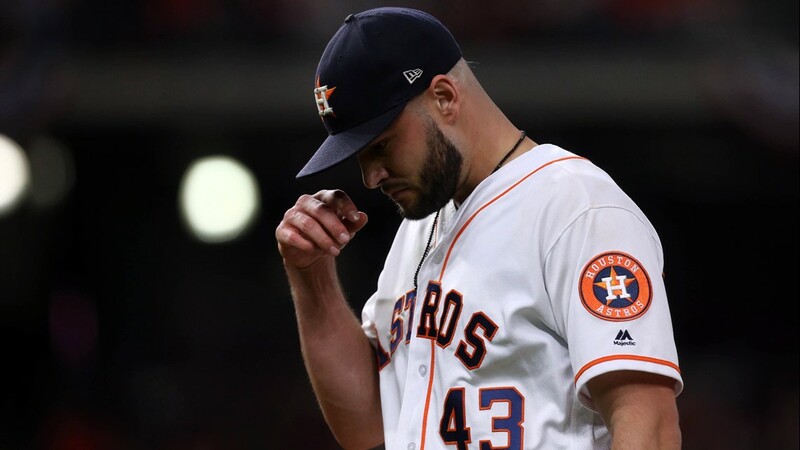 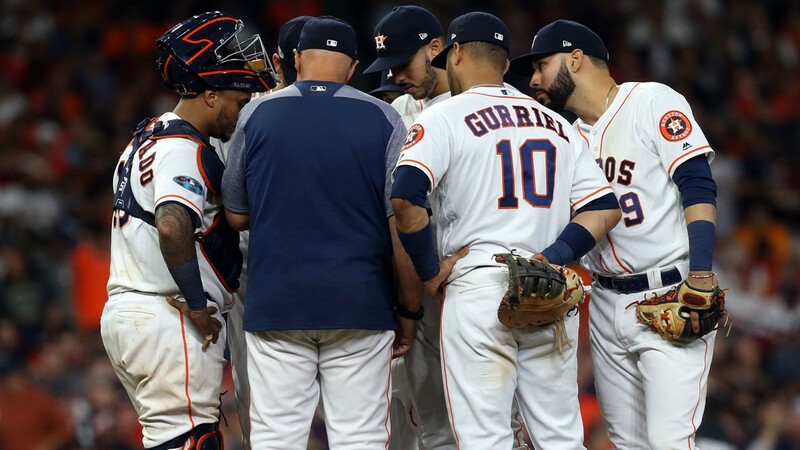 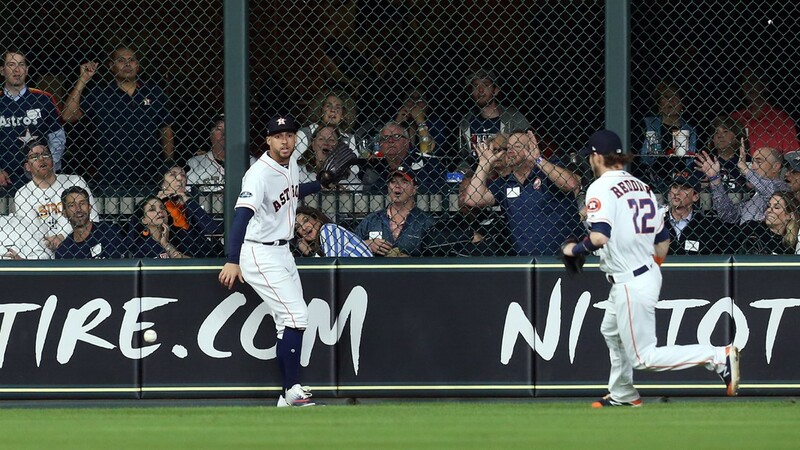 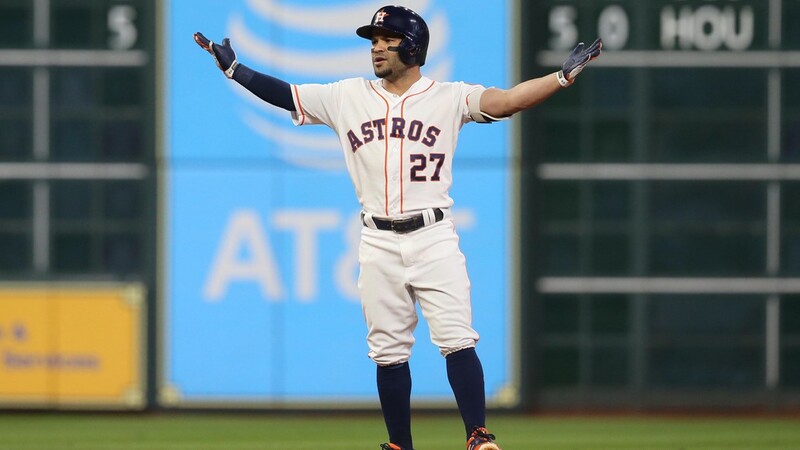 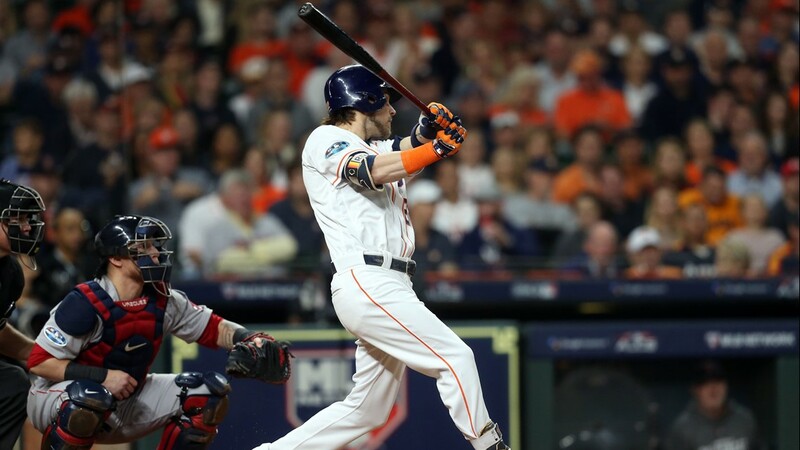 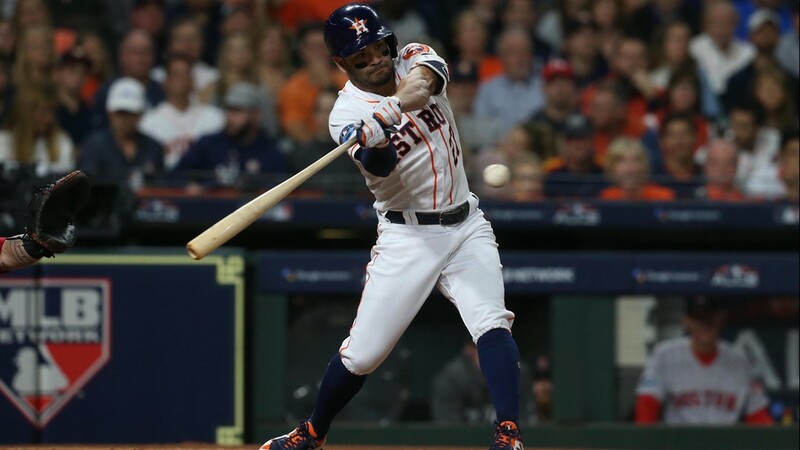 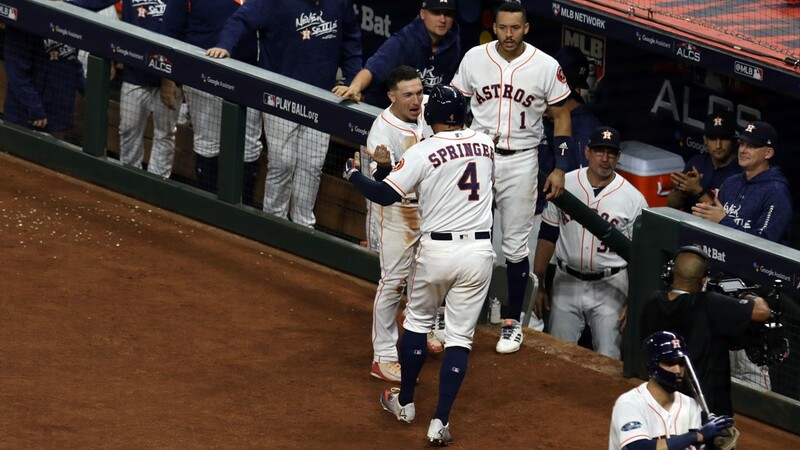 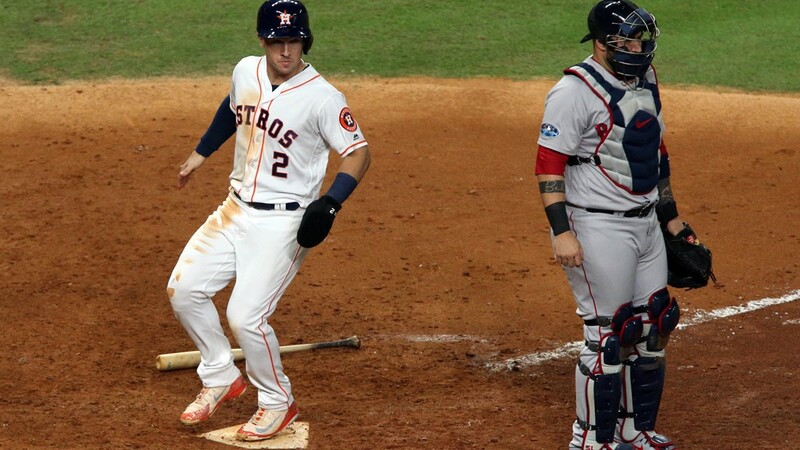 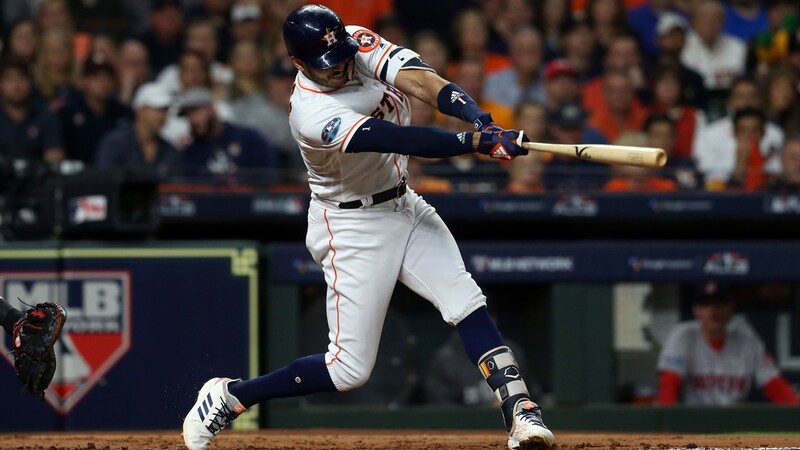 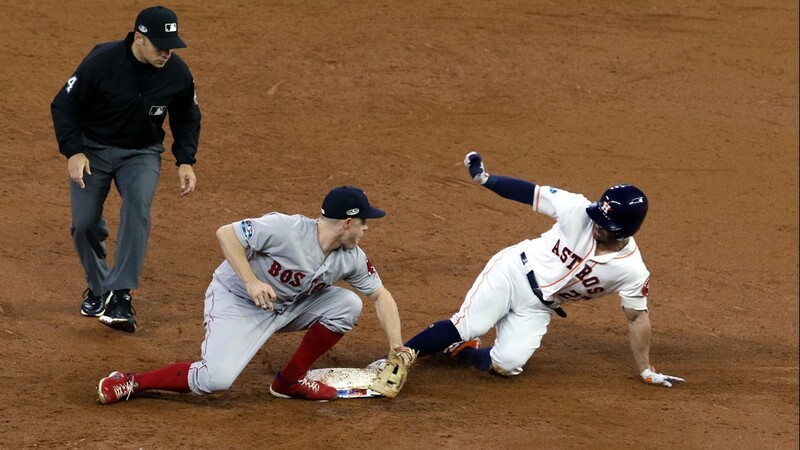 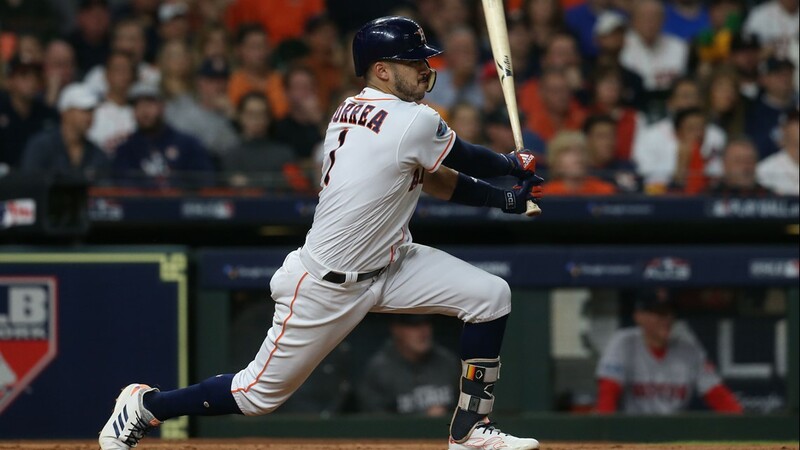 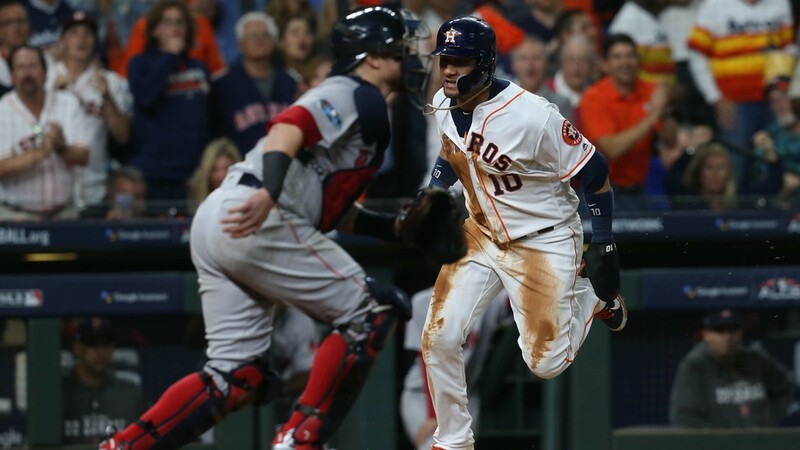 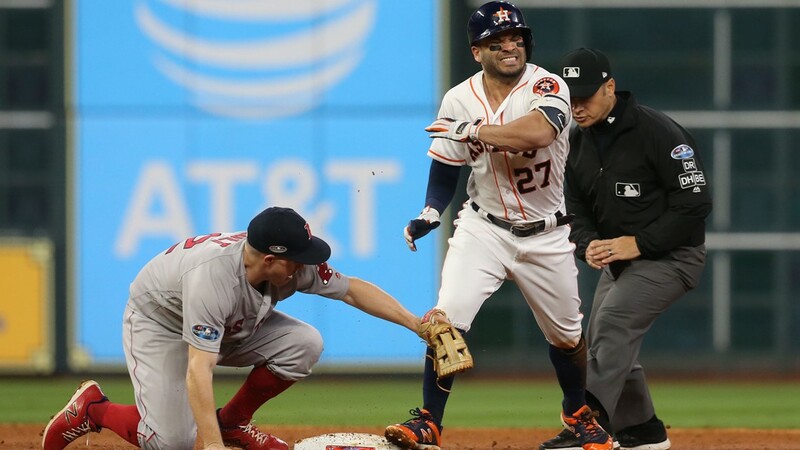 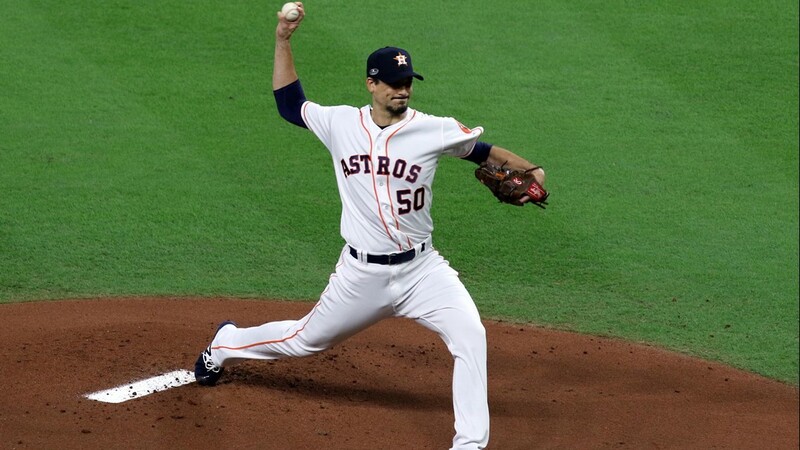 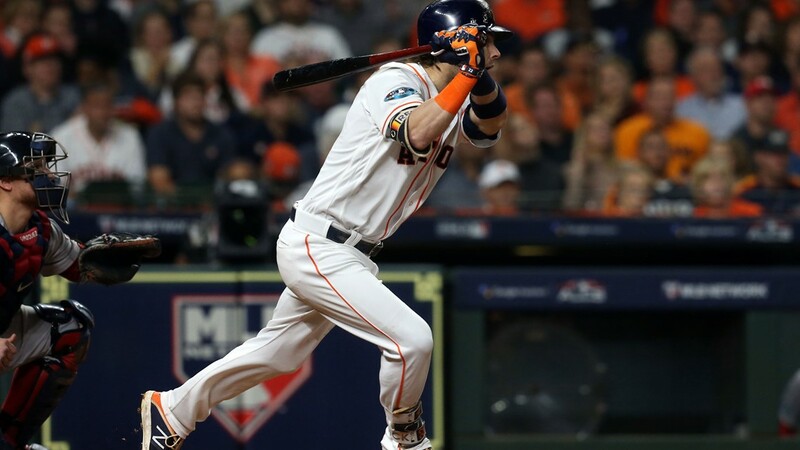 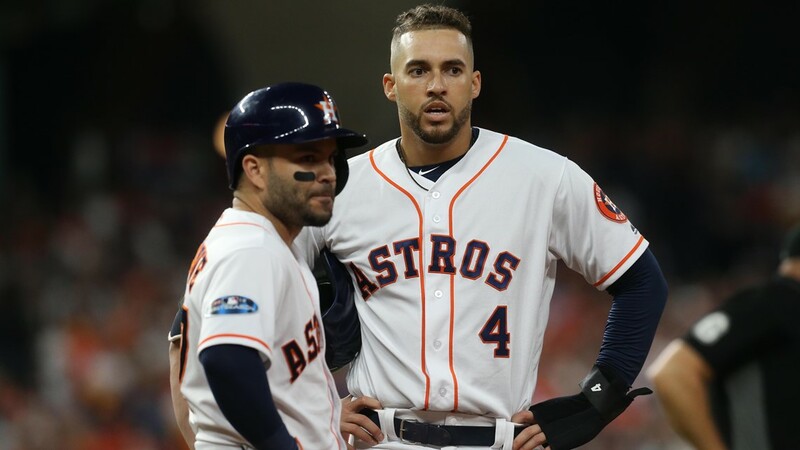 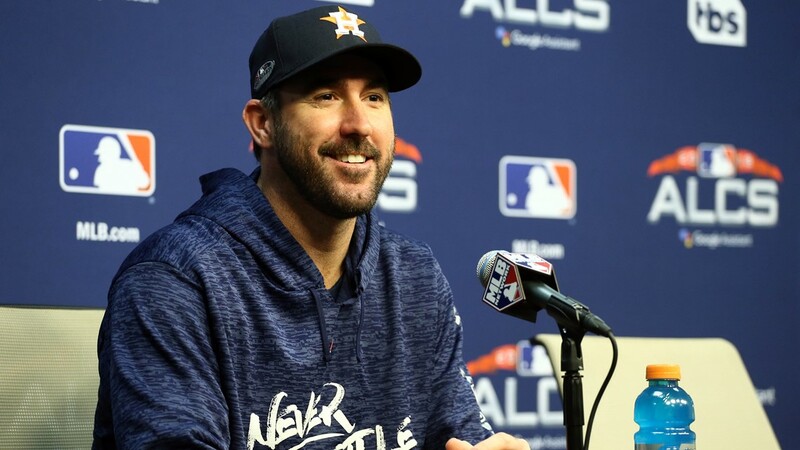 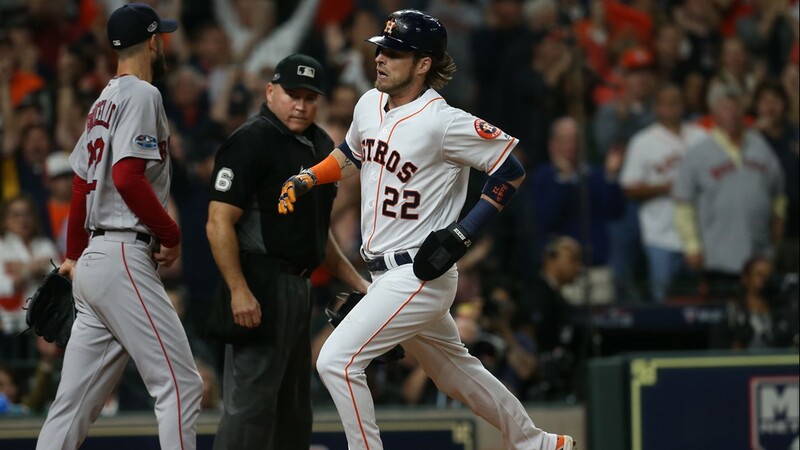 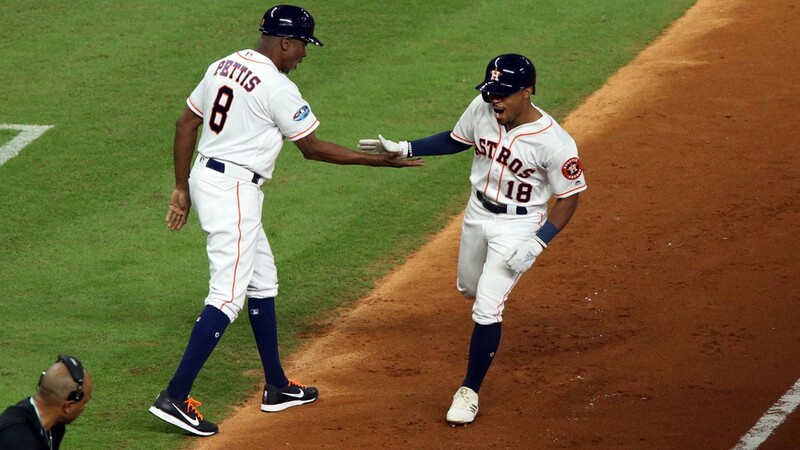 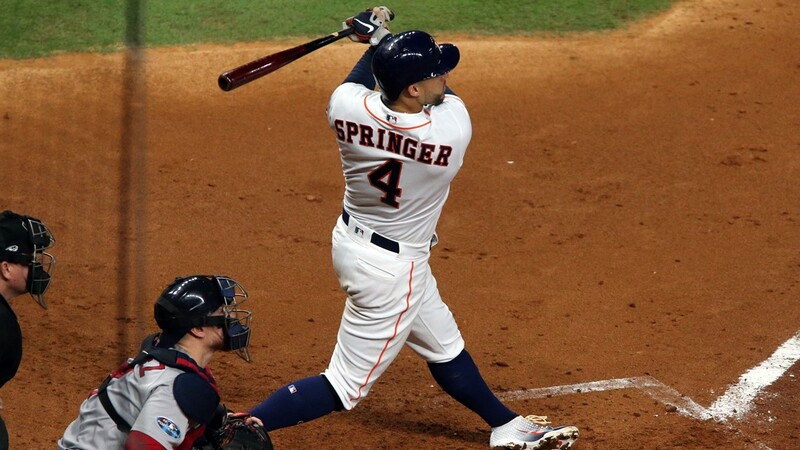 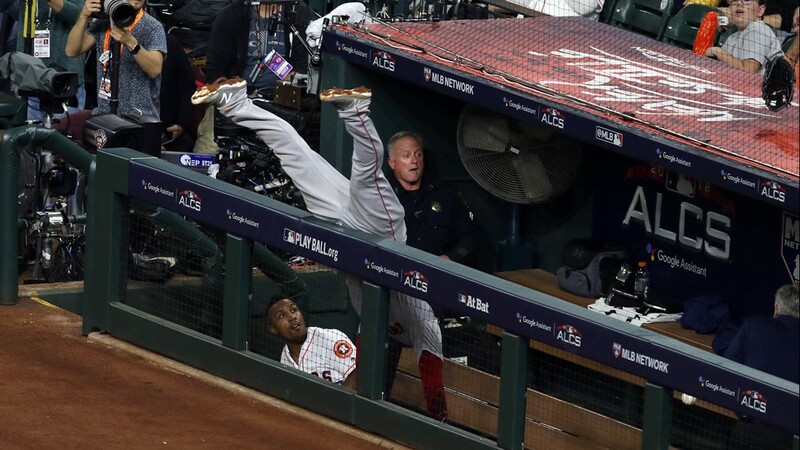 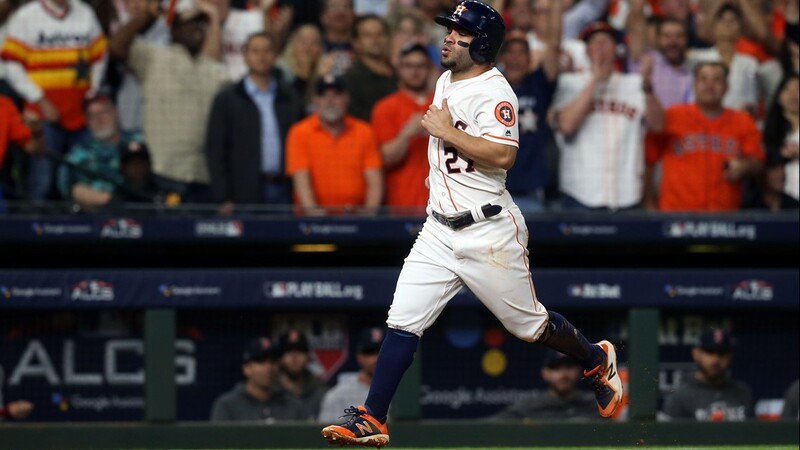 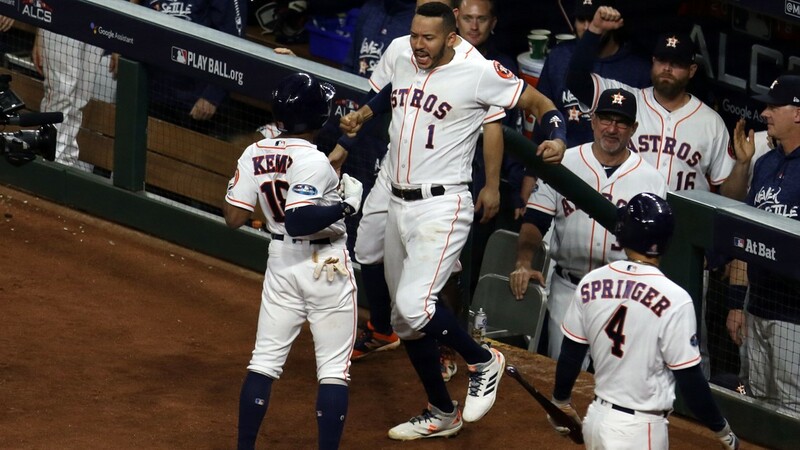 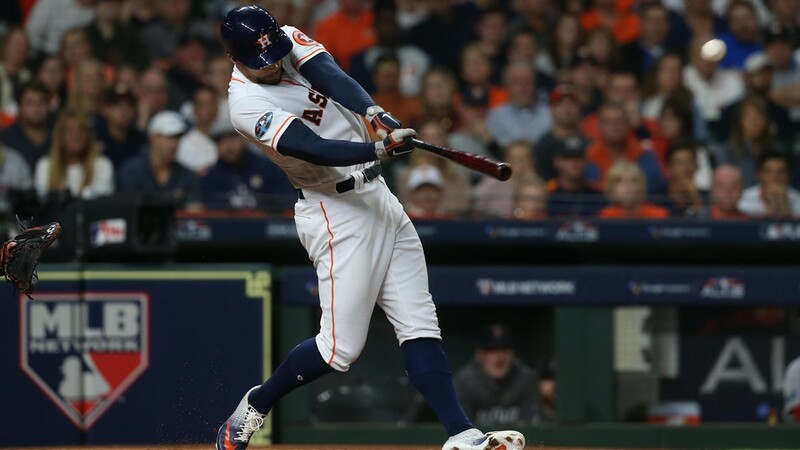 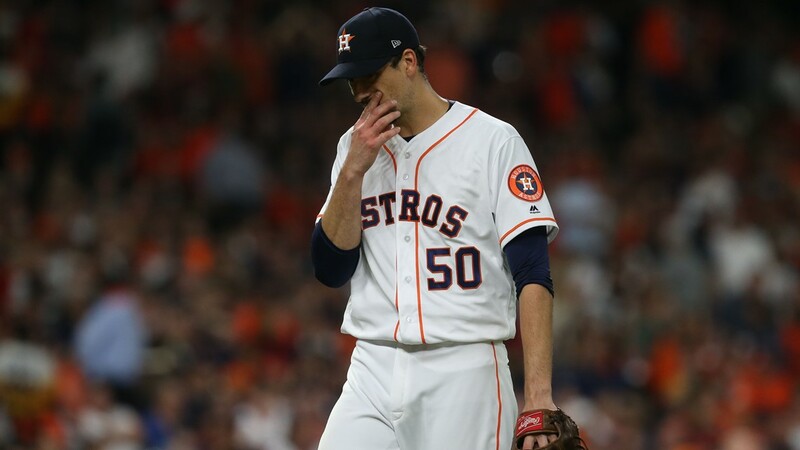 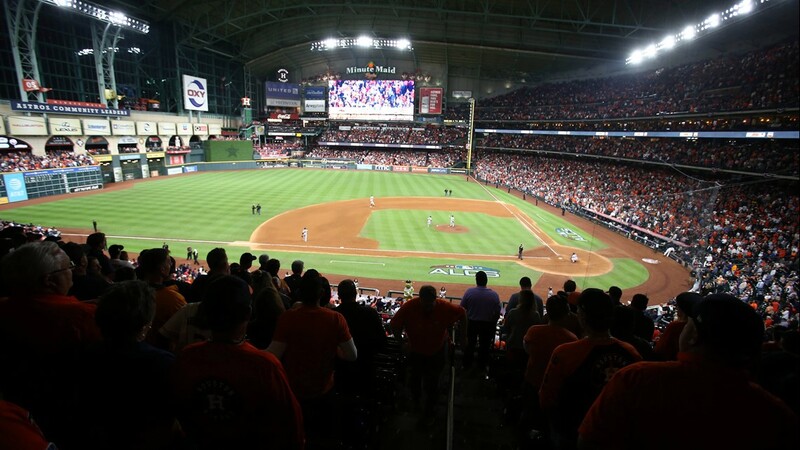 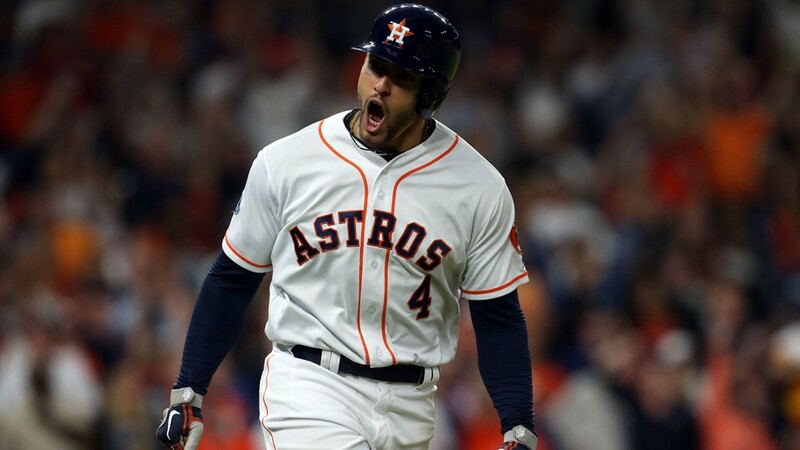 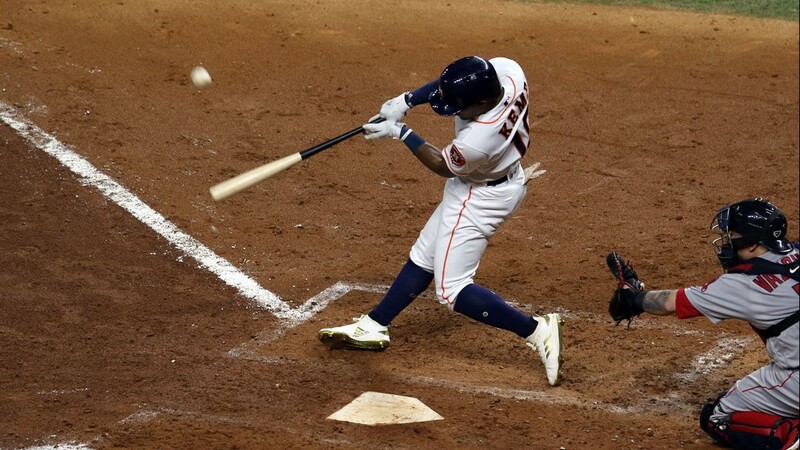 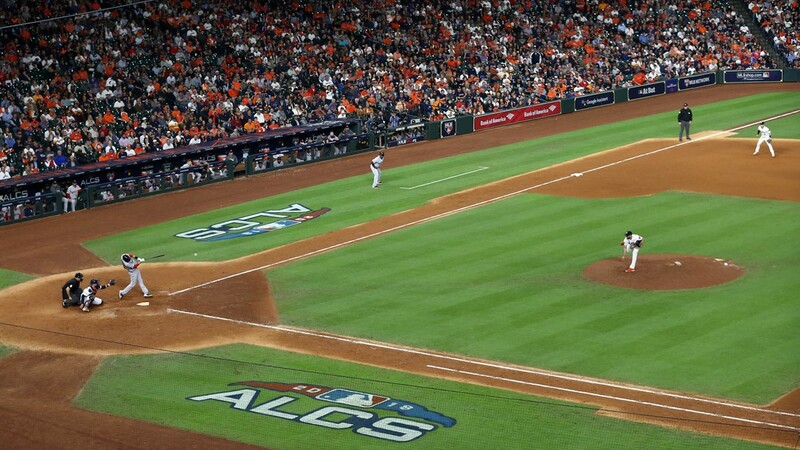 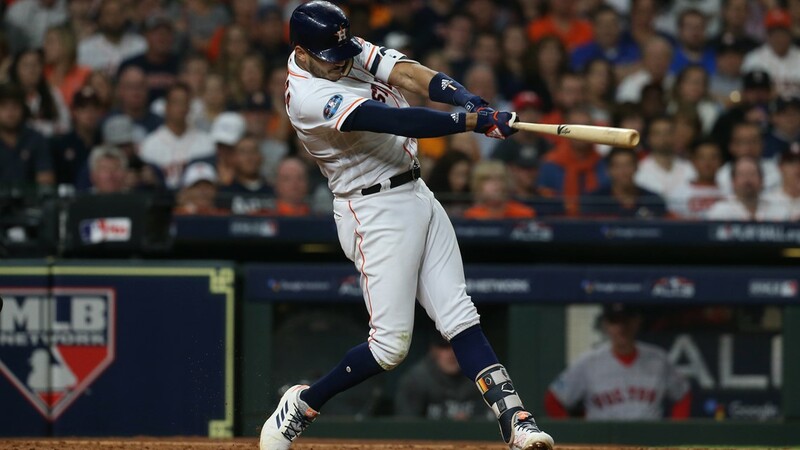 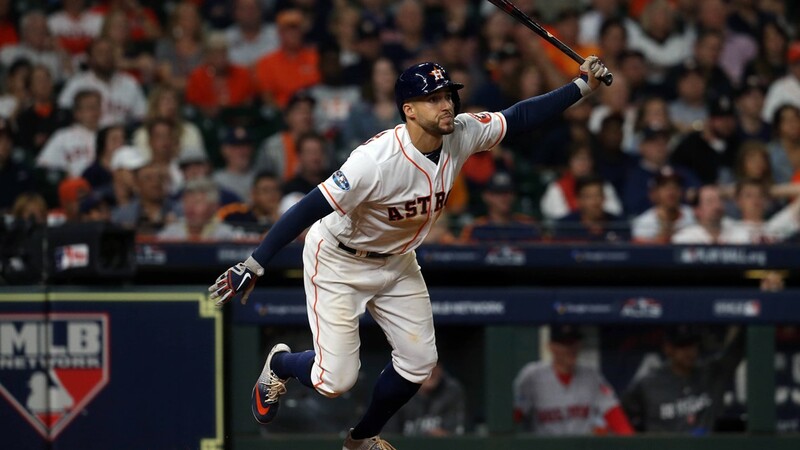 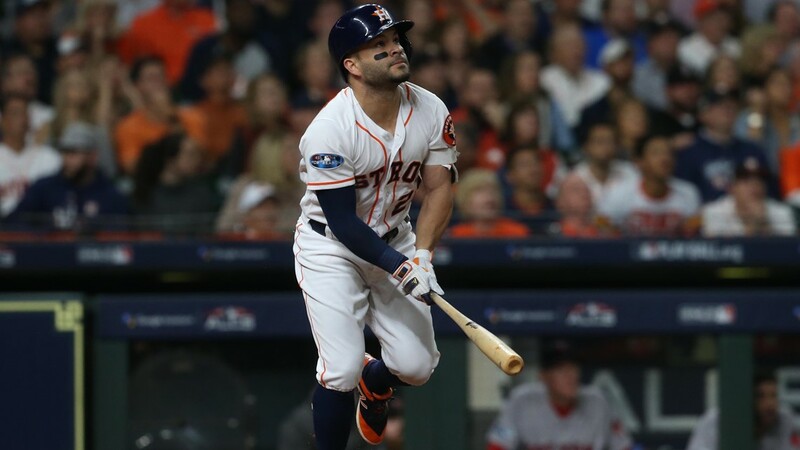 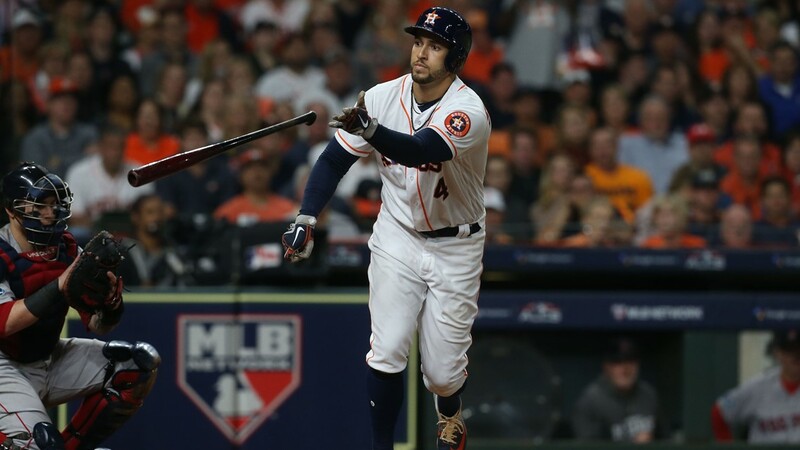 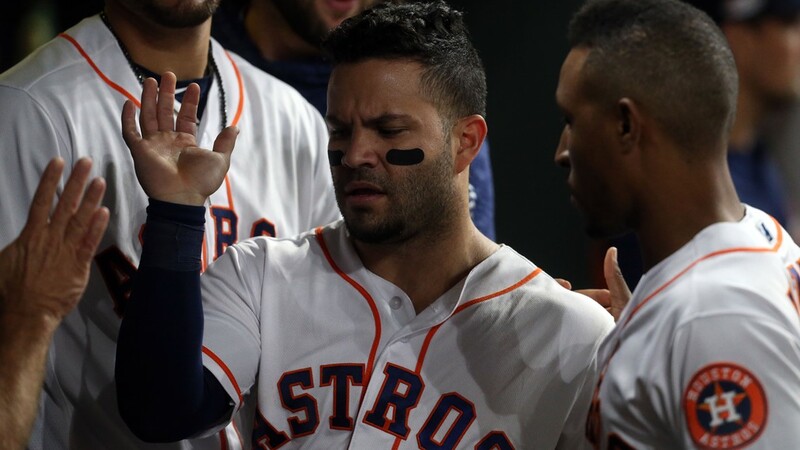 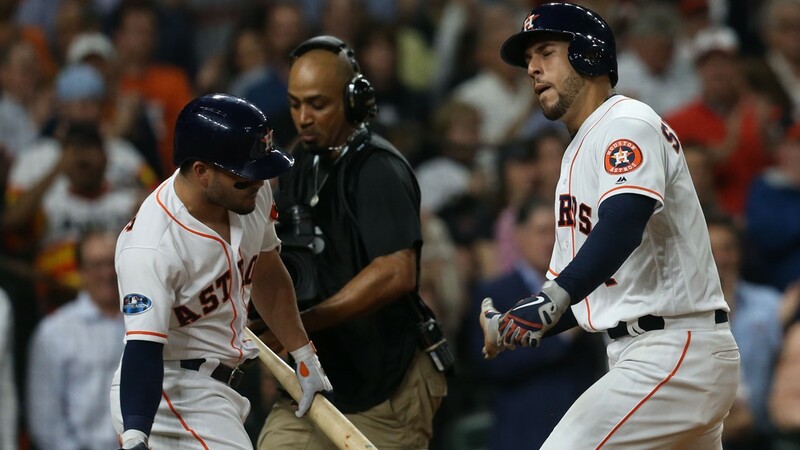 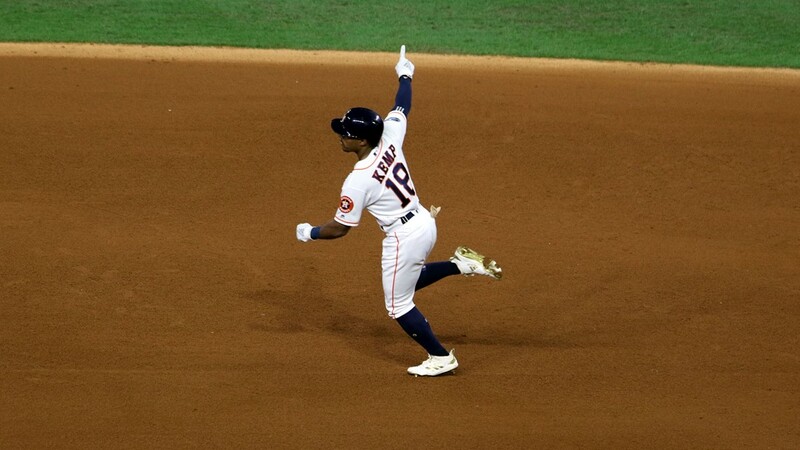 HOUSTON (AP) - Jose Altuve has been denied a potential two-run homer for the Houston Astros in Game 4 of the AL Championship Series when umpires ruled at least one fan interfered with Mookie Betts' attempt at a leaping catch above the right-field fence. 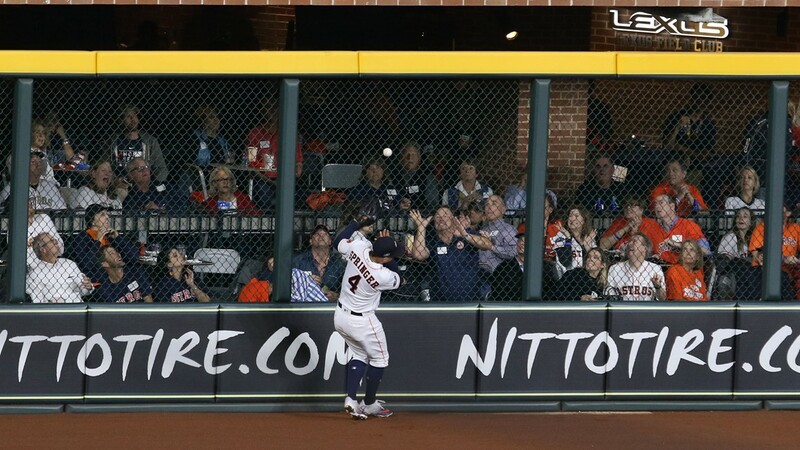 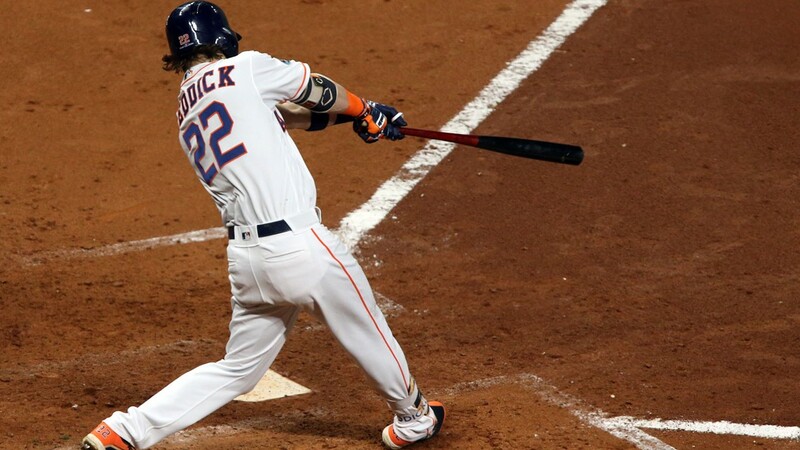 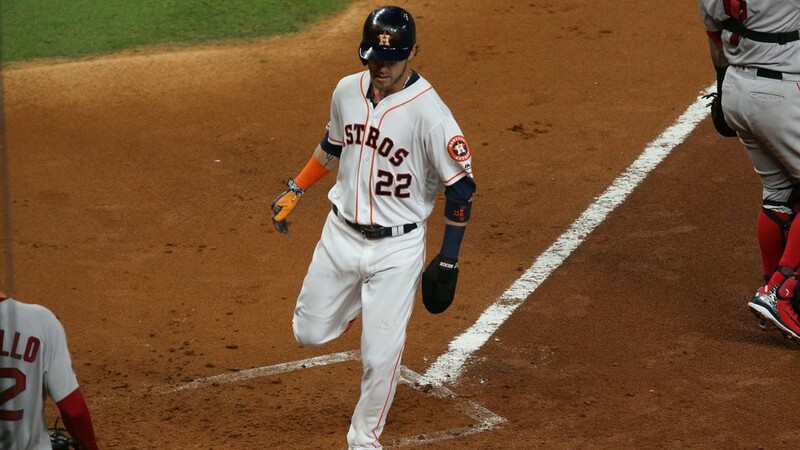 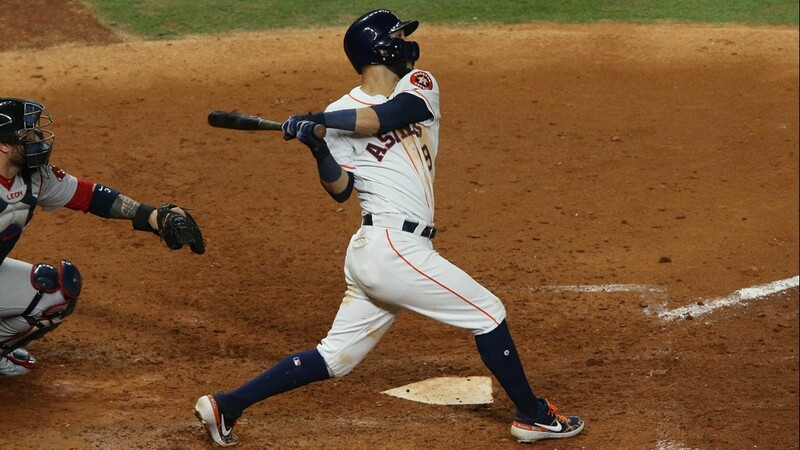 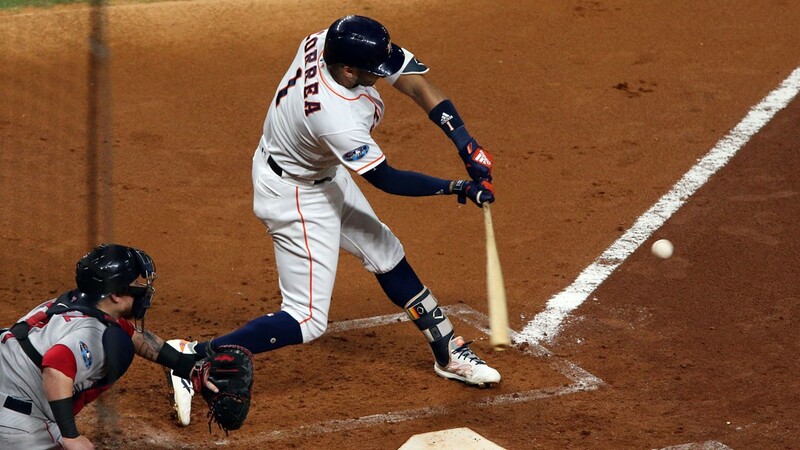 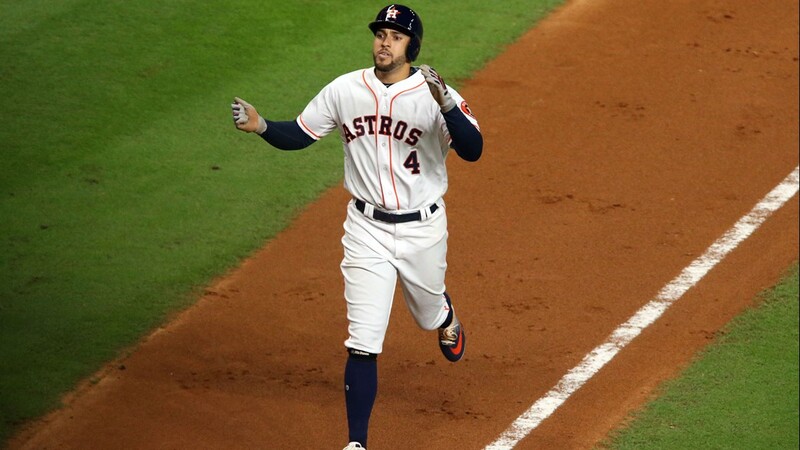 A home run by Altuve would have tied the score at 2 in the first inning. 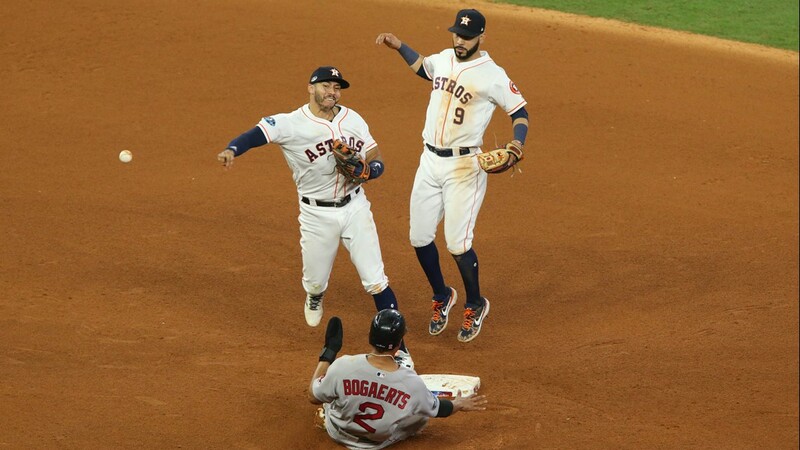 Boston leads 2-1 in the best-of-seven series. 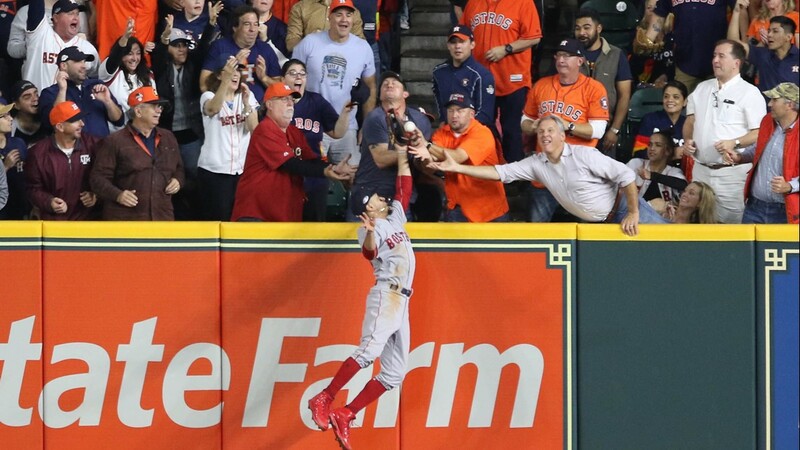 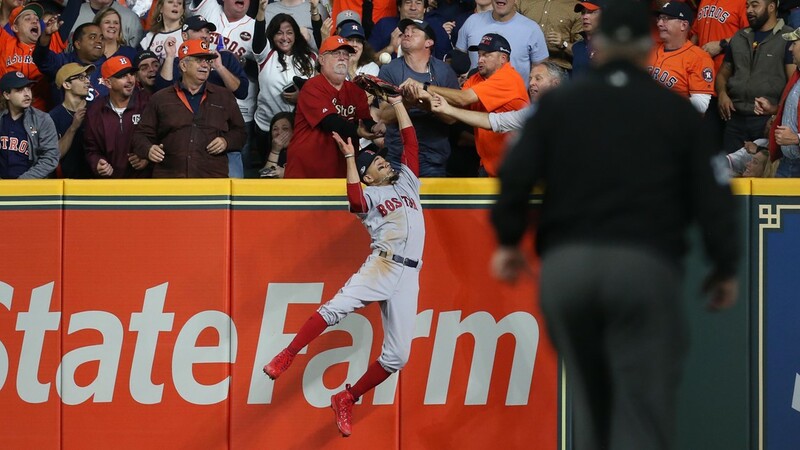 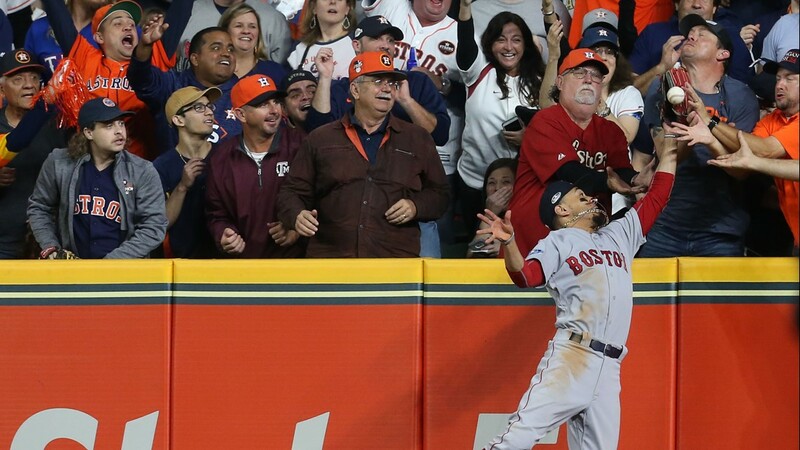 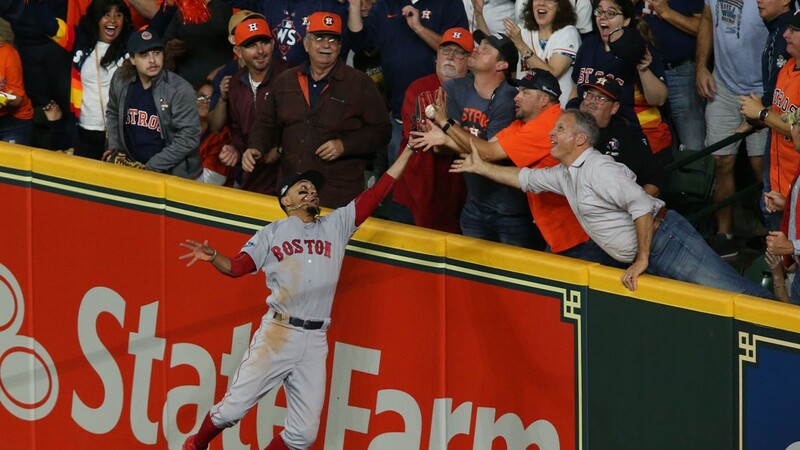 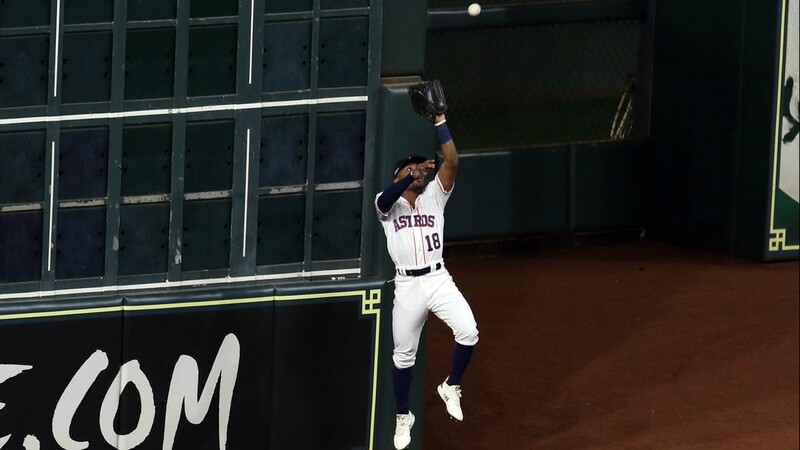 Betts jumped and it appeared that fans reaching for the ball made contact with his glove as he extended it above the wall . 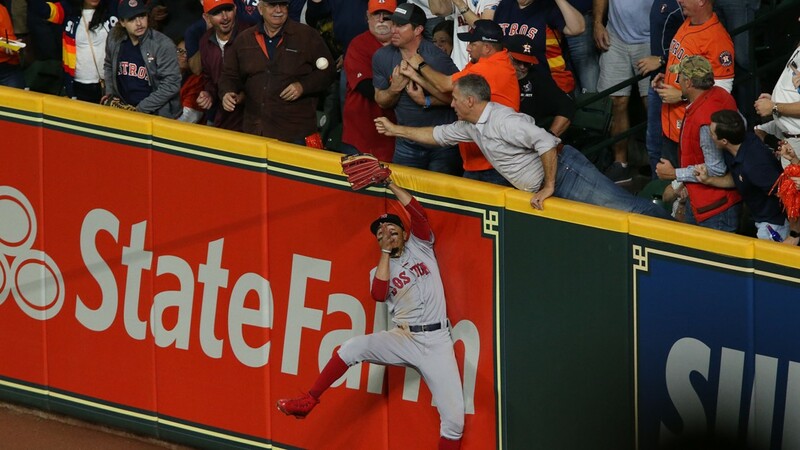 The ball then glanced off the side of Betts' glove and touched fans reaching to catch it.